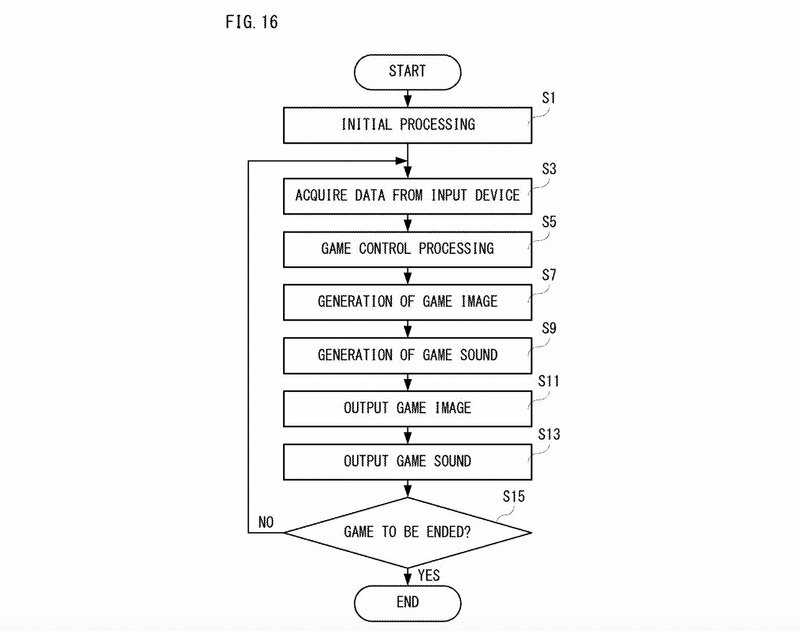 Details have emerged surrounding a patent application submitted by Nintendo and Game Freak, the developer of the Pokémon series. The application appears to be for an interactive kind of trading card design, which seems to be able to communicate with the Switch and change appearance based on in-game activity. Described as a "non-limiting example game apparatus", and "information processing apparatus" in other cases, the card is set to include a display screen consisting of a character image which is placed on top of a composite image. The composite image (which essentially sounds like the background layer behind the character's image) can change its colour, background, and pattern. The most interesting part of this, however, is that these parameters can change "according to an attitude of the game apparatus". Of course, the exact meaning behind this in unclear, but this seems to suggest that your actions on Switch will affect the image on your trading card; perhaps the Switch's motion controls can sync up with the card's background design, or maybe the card can change appearance based on the outcome of in-game battles, with your character's image changing depending on their current health level. In case you're in any doubt that this application has anything to do with Pokémon, some terminology used later in the application should put your mind at ease. The player can capture (collect) the character of the wild monster by operating the player character... Furthermore, the player can train (raise) the fellow character and raise its level… The fellow character may evolve (deform) in some cases. It's also interesting to note that, while we suspect this technology is intended for use with Pokémon on Switch, the application makes it clear that it could also be used elsewhere. It describes the application's main apparatus as "a portable information processing apparatus", with mentions of buttons, gyro sensors, and a touchscreen, but then says that "it is not necessary to be limited to a game dedicated machine”, going on to specifically suggest the use of smart phones. 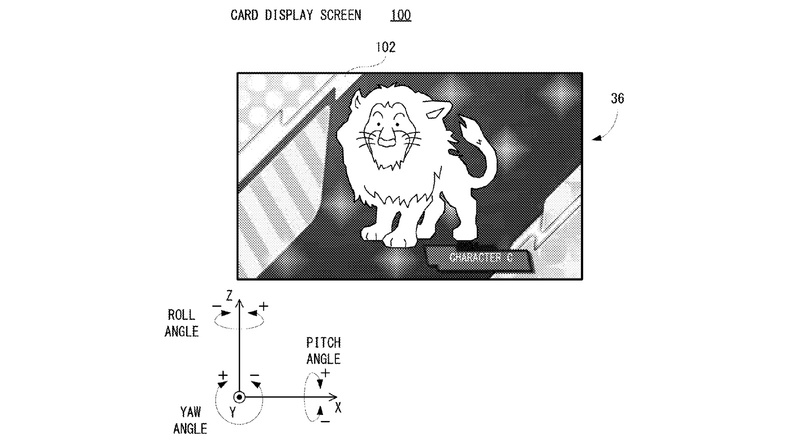 While it is possible that we'll never see this technology ever be released - many patents never go any further than their initial applications - it would appear that Nintendo and Game Freak have some pretty big ideas for ways to move Pokémon forward. Could this be the start of a Pokémon amiibo card collection? Could this be a device that can interact with Pokémon on Switch and Pokémon GO, combining the ideas and mechanics of both games? Make sure to let us know your wild thoughts and dreams in the comments below. It literally looks like the Pokédex screen from Sun and Moon.This could be them patenting an aspect of how the game will work on the Switch, specifically how we may interact with the Pokédex. "a portable information processing apparatus, with mentions of buttons, gyro sensors, and a touchscreen" Basically describes the Switch doesn't it? Well, that came out of nowhere. I'm not sure I really understand the concept of this. @Danpal65 My thoughts exactly, it appears to be the same using the gyroscope to achieve a holographic effect on-screen when moving the 3DS. It's apparent on legendary, mythical or otherwise special Pokédex entries. I am very confused. Does this refer to physical cards interacting with electronic devices? Some sort of AR version of Pokemon TCG? Speaking of, a new video game version of Pokemon TCG wouldn't go amiss. MtG has made a somewhat successful jump to online and then there's the online only games like Hearthstone or Gwent. The only question is how does this work with Japanese law towards microtransactions and if it will allow for card trading instead of just "disenchanting" them like in Hearthstone. Pokemon cardboard using Infra sensor. No more turn based battle, you fight like the LABO RC car. Is it too much to ask that they just make up a Pokemon game? I prefer traditional RPGs and Pokemon is one of the last types. Give us a new type or two, shake up the meta. Maybe give us specific Pokemon who get 5 Moves or give us just more of what we are already familiar with. Above All Else, give us a break from the cheaters. Ban their accounts. Stop holding the hands of cheaters and saying to them "This isn't the right thing to do" just flat out ban them and be done with it. If you ask me, they need a Pokemon game that explores multiple regions. Maybe a game that compiles three regions together. Two that are already familiar as post-game content and one brand new one as the major focus. Give us a challenging criminal team. Give us difficult battles. Give us a rude challenging rival. Don't give us Teletubbies land like we've gotten lately. i'm sure all this has something to do with the 3ds connecting to your switch so you can transfer pokemon bank data over. Interesting. I always thought Pokemon Amiibo cards would be a good idea considering the success of the TCG, but this seems to take it a step further. Could they be merging the TCG and VG? This looks like the Sun & Moon Pokédex. @BlackenedHalo Saying the Pokémon battle system hasn't changed since Red/Blue is saying that the Zelda battle system hasn't changed between Zelda 1 and Ocarina. Sure, they are still turn-based where you control up to 6 monsters with a maximum of 4 moves each, but that's it. 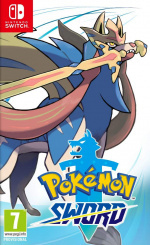 Since the beginning, they introduced tons of new monsters and moves, held items that can greatly change up tactics, abilities that make many monsters much more special and useful, natures that affect the stats of a Pokémon, mechanics like weather and terrains, many battle styles like double-, triple-, and rotation battles, mega evolutions and Z-moves, the fact that you have to tactically train your Pokémon to bring out their potential (opposed to the old way where they became strong no matter what and how you defeated), the physical-special split, the special attack-special defense split, and many more I didn't mention. The CORE of the main series' battle system shouldn't be changed, as there is an enormous competitive scene. It's like if they completely stopped making Magic: The Gathering cards to make way for a ball game based on the lore of the cards. Having spinoff titles with completely new battle systems like Pokkén Tournament, the Pokémon Mystery Dungeon series, or the Pokémon Rumble series is completely fine, though, and keeps things fresh for everybody. Gamefreaks can make Pokemon game with Battle System at least like FF X-2, ATB System or Action RPG like Kingdom Hearts / Fantasy Life or like Monster Rancher series. I'm kinda bored with same repetitive Turn Based from Pokemon games. Honestly if they ever make Pokemon use active time battles I'm done playing Pokemon games. It's not what I want out of this series and it's not a genre I'm a fan of to begin with. I hope I wouldn't have to shell out for extra bits after buying the game as well as the system,joycons etcetc. I love you switch but dayum! The vibe I'm kind of getting from this based on the fact it shows the Pokedex from Sun and Moon and mentions these "cards" is that is they are in fact amiibo Pokemon Cards, and that they would mostly only unlock an entry in the Pokedex. Personally though, I don't want amiibo to be integrated into the main-line games for the sake of the series and my wallet. @Krisi Thank you for saying this so I don't have to, haha. Seriously though, if you change those core mechanics for battling you have a spinoff on your hands or just something completely different. You mentioned LoZ, what about Mario? Its core mechanics are running and jumping. It has been that way longer than Pokemon's basics of battling. Should we change Mario's basics? I don't think so. @Anti-Matter If you are bored of the current battle system of the main series then pick up one of the many spinoffs. From 3 Pokemon games i owned (X, Sun & Ultra Moon), the Battle System looked Exactly 99.99% Same. Also, i felt the whole gameplay from Pokemon are just Battle & Battle with Pokemon, with same repetitive chores. Nothing else but Battles. No Minigames, No Jumping / Advanced interaction to make it a little bit Action games. That's why i left for long time my 3 Pokemon games. A little bit bored but still i want to continue whenever i'm in the mood to finished the storyline. If at least my main character can Jump / Climb / Swimming / Other interaction, playing in Full 3D dynamic camera angle, has something else to do, i might not get bored easily. tcg, vg, go, ALL-IN-ONE . yes, please. @Anti-Matter Sounds to me like you don't like main series Pokemon's core gameplay. I can understand that. For example, I don't like Kingdom Hearts battle system or core gameplay. Conveniently, games of both types exist so that we can both be happy with the ones that meet our tastes. @Anti-Matter That's because you're talking about the three most recent games in the series, both of which have incredibly similar battle systems due to all 3 being 3DS games. Typically, major shakeups happen to the system alongside new systems. @BlackenedHalo Double Battles from Gen 3 has been the one consistently used gameplay change. There were Triple and Rotation Battles in Gen 5 and Horde Battles in Gen 6 but those seemed to have been dropped after one generation. @Krisi I'd agree. 6 mons with 4 moves each is kind of a core defining characteristic of its gameplay. Having only four moves is a major strategic element of raising a Pokemon correctly. For someone who has the Black Mage as their avatar, one would think you understand why changing the base systems of a franchise can be a bad thing. @BlackenedHalo naw the tv series shows us how the battles should be. Pokken is very flawed in that aspect. @BlackenedHalo Making changes to a series also brought you a game like Paper Mario: Sticker Star, which was panned by the fanbase. Be careful what you wish for. Can't say I'm that excited for a Pokemon hearthstone. I expect to have cardboard Pokemon battles in the near future. @Dog never said it was good but the variety on how they fight is still better then just the limits of pokken. No wonder all these tech companies can easily rip off each other's ideas: trying to defend your idea in court is a monstrous task when your patents are so vague and full of gibberish language. As long as I'm not forced to buy cards to play the game. I will be 100 percent honest. I don’t know what I am looking at here. But it doesn’t interest me. Maybe it will be cool idk. I really still want a large open world game like BotW (it could be smaller tho) that lets me roam the countryside to befriend pokemon and have regions as basically dlc. It is what I have wanted to see for a while. I am an adult man who needs a massive pokemon world. Don’t judge me. @BlackenedHalo Man, I'm all for innovation but hell no. If I wanted to play a game with that kind of battle system, I'd play Smash or Pokken Tournament. Pokemon's battle system is fine so long as they get rid of things like Z-Moves. It's always been strategy based, and should stay that way. I'm not a fan of Pokken Tournament's fighting mechanics. I have been a fan of Pokemon since the beginning and a stalwart defender of the series from all the "OMG they are running out of ideas, the new Pokemon are so lame" fools. But if they completely change of the core mechanics of Pokemon, essentially making it into a totally different game that just uses the same creatures/characters... As far as I am concerned, that would not be Pokemon and I probably wouldn't be happy. I wouldn't mind and actually would be very interested in a spin off game, but if the main series ends of "becomes" something like this. No thank you! @ALazyUsername128 If they ported Pokemon TCGO(which is Pokemon Hearthstone) to the Switch and allowed us to get the cards in-game without having to buy real world cards, I'd be all over that in a heartbeat! They should increase the move amount to 6 and the party to 8. I want a Pokémon version of Breath of the Wild. I want a large expanse to explore in my own time. Pokken Tournament was what I have dreamed of for how beautiful battles could be. I first played Red version about 20 years ago and while I like some of the new small additions to the mechanics it’s been largely unchanged. I want a Pokémon game that truly lets me decide what is the very best- let me become a gym leader ( Pokémon Go aspect), let me become a breeder and start an awesome Pokémon sanctuary, or let me go a traditional route and just catch em all. As the first “regular “ Pokémon game on a home console this could really break the mold. Here’s hoping. I just want an actual, traditional Pokemon game for the Switch. Is that too much to ask? Apparently. It almost seems like it could be interactive themes for the home menu. Moving the Switch around may move the background. Similar to sound in the mic rotating icons faster on the 3DS. "geez, the Pokémon gameplay and battle combat system hasnt changed since the first games ......if there is a series that needs to be innovated, then it is Pokémon"
Yes it has. You mentioned one example already. I'll give you more in Pokemon Snap, Trozei, Puzzle Leage, Rumble, Hey You! Pikachu, Mystery Dungeon, Conquest, and many more. I am fully aware that these are all spinoffs and not main series games. I and many others don't want them to be main series games and don't mind spinoffs as long as they don't get in the way of main series games. 2D Mario and 3D Mario are largely the same game over and over again when you boil it down to its base elements, yet no one complains about that. Mario also has a dozen spinoffs on every console. Metroid fans, before the announcements of Prime 4 and Samus Returns, were going ballistic over things like Federation Force instead of receiving a true Metroid game. If MP4 and Samus Returns were known about before the announcement of FF, then the reception to FF would probably been much more welcome. If I remember correctly, the latest main series Pokemon releases have sold about seven and a half million copies apiece, and those are essentially updated rereleases, not brand new gens. People clearly want Pokemon's gameplay and battle system to stay the way it is. If we want to play a Pokemon game with a different type of gameplay and battle system, then we'll get Pokken. But Pokken has no business EVER being a mainline game; then it's no longer Pokemon, it's Pokken. Just like Hyrule Warriors is not a Legend of Zelda game. It's Hyrule Warriors. Also, I always ask this anytime someone says GameFreak should adopt a real-time battle system for Pokemon. Can you explain to me how a Roselia vs. Wailord fight would work? What about Diglett vs. any flying mon? Joltik vs. anything other than another Joltik? @BlackenedHalo I have a feeling that the battles will be real time like Pokken with the option to also play with the oldschool battle system if you prefer it. This would allow the most flexibility and allow people to play the way they want to. Online would just split the gameplay styles and you would be matched up against people who picked the same battle style. @burninmylight It would be simple, the real time battles will use your 4 core pokemon abilities by charging a special meter based on damage taken / damage done from the basic attacks and combos. The larger the pokemon the slower they will be in battle but their defense will be higher. This looks a really fancy TCG. I would welcome that, as long as the the Pokemon TCCG and mainline series kept their own identities. So... Pokemon Amiibo Trading Cards confirmed..? @ALazyUsername128 I would be okay with that too. Woah, that 's literary how every video game ever made already works the most amazing, most innovative thing ever invented. @LemonSlice well, isn't that how patents are supposed to work? Patent a common solution so you don't need to fight with any pesky newcomers. @Therad You're right. Now that Nintendo has patented video games themselves, bye bye Sony, Microsoft and PC gaming. No Mike the Penguin this time? This sounds....expensive. And possible not possible. If I'm reading that right it almost sounds like either an electronic card or some sort of state changing dye. If so that sounds like one of Nintendo's many far, far out there cool concept patents that probably won't ever be doable. They have boatloads of them. I don't really like trading card games (Amiibo Crossing included) but they're a huge huge thing in Japanese arcades, so this makes sense. It's also possible it's a patent for an arcade machine concept....maybe it prints the card on the fly rather than some kind of reactive dye. Here is what I am hoping for, but probably wont happen. I am hoping that Pokemon Amiibo cards are added to the game, BUT in a different way from what everyone else would expect. No the Pokemon Amiibo cards would not be able to unlock rare or unseen Pokemon in the game for you to find. Instead the Pokemon TCG will be a card game you can play inside the Pokemon game just like how you can play a card game in the Witcher series. You will be able to collect these cards either in the game or by buying a set from Nintendo. Buying a set from Nintendo could come with additional Amiibo functions, like getting customization items for your trainer in the game. The Pokemon TCG game could also be played as an online feature between trainers when you connect with other trainers at a specific location in the game. I dunno, just my take on what I would love to see.